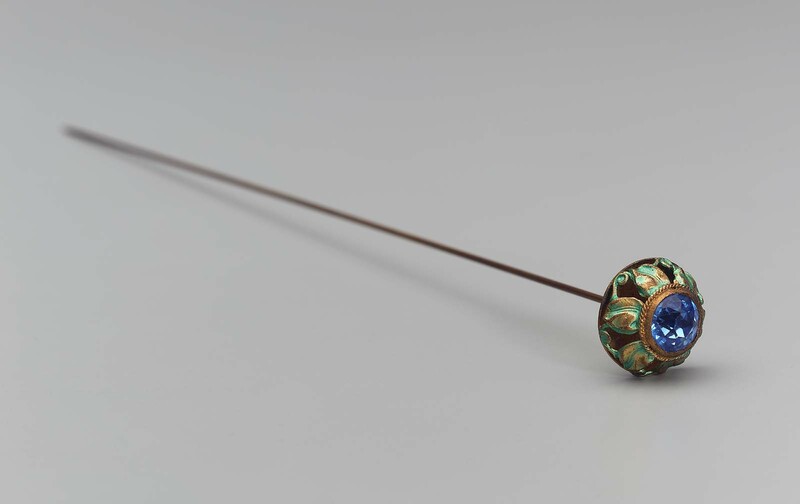 Hat pin with round top having design of leaves in gold colored open work metal painted with green, large blue stone in center. Cf. : 55.127.